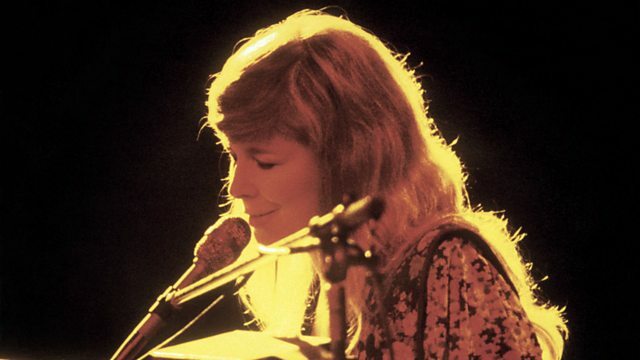 Filmed at the Barbican in London, this tribute concert to the singer-songwriter Sandy Denny spans her career with Fairport Convention, Fotheringay and as a solo artist. Her most famous song, Who Knows Where the Time Goes, has been covered by everyone from Judy Collins to Nina Simone, but when she died in 1978 aged 31, Sandy left behind a rich songbook and here an eclectic cast from the folk world and beyond set out to explore and reinterpret it. English folk queen and Sandy contemporary Maddy Prior performs the menacing John the Gun and the courtly Fotheringay. Veteran Sandy cohorts are represented by Fotheringay and Fairport guitarist Jerry Donahue and fiddler extraordinaire Dave Swarbrick. Fine young troubadours Sam Carter and Blair Dunlop - son of Fairport's Ashley Hutchings - show the tradition is in safe hands. With a house band featuring members of Bellowhead, the line-up also includes former Scritti Politti singer Green Gartside, Joan Wasser aka Joan as Policewoman (with a heartbreaking No More Sad Refrains), Trembling Bells singer Lavinia Blackwall and American soul singer PP Arnold (with a roof-raising Take Me Away), plus Thea Gilmore, who was asked by Sandy's estate to put some of her unset lyrics to music. The performances on stage are interspersed with interviews and behind-the-scenes footage that shed light on how the concert came together, plus rare archive of Sandy herself. The show is evidence that, even without the magic of her singing voice, the songs still shine.